You all might be familiar with this proverb, enlightening the importance of hard work. You can link this to upcoming SSC CHSL exam. You should put your complete efforts in the right direction without any misperception. Don’t waste a single moment, study hard and get your selection in SSC CHSL Exam. If you place your perfect approach you will definitely crack your exam. Mahendra Guru helps you with the right strategy, tips and tricks for the SSC CHSL exam and you can also download PDF of previous year paper of SSC CHSL exam from its website. 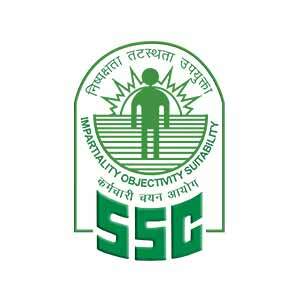 You must qualify each tier of the SSC CHSL exam, to proceed to the next one, before the final selection. This section is an easy and very scoring section in SSC CHSL exam.You can gain more marks with less time period. English is totally based on the grammar rules so, you can learn the basic concept of English from its Mahendra Guru website and watch the related English video form our YouTube channel and also download Mahendra Guru App for English quizzes and test. Note down and learn 10 new words on daily basis. It will sharp your vocab power, you can learn from The Hindu Vocab which is published on Mahendra Guru Website. Learn the synonyms and antonyms of the new word. Practice the English quizzes on the daily basis so you can evaluate yourself. Give at least one Speed test daily, to increase your speed in the exam. While solving the questions from passages, first go through the questions and then read the complete passage. Practice as many passages as you can daily to improve your reading skills and understanding. You should practice previous year question paper of SSC CHSL exam to understand that what types of question were asked previously in the exam. Scoring from this section is easy if you learn the formulas and short tricks for solving the question. Learn and practice the new concept and tricks of question from Mahendra Guru Website and watch all the Maths related video form our YouTube channel and also download Mahendra Guru App for Maths quizzes and test on a daily basis. Practice more from Algebraic Identities, Factorization and Simplification of Polynomials and Fractions. Try to solve the questions with short tricks and new concept so it will increase your speed of solving the questions in the exam. Learns all the Formulas, shorts tricks and techniques for approximation so you can answer the questions in less time. You must learn the tables up to 20 at least, squares up to 50 at least and cubes up to 30 at least. Learns all the formula of Trigonometry it will help you to score easily in less time. This section is basically to judge your mental ability and logical thinking of effective decision-making approach to solving the given statements. It is also a scoring section apart from other section if you know the correct approach. Practices more questions form Mahendra Guru website and watch all the video related to General Intelligence form our YouTube channel and also download Mahendra Guru App for General Intelligence quizzes and test on the daily basis. Solve the question Related to Syllogism by practicing from the previous paper. Use logical assumption while solving the questions. Learn the right approach and tricks of some important topic to solve the question that could save your time. Practice one Speed test in a day so that you can improve your preparation level for the exam. Practice a paper folding related questions and object like dice in non -verbal reasoning. Also, solve the previous year question paper of SSC CHSL exam. General Awareness is to check your intelligence level about how much you are aware of your surroundings. From this section can score more marks in less time period and you can get update yourself on daily basis from daily current affairs published on Mahendra Guru website and also watch the General Awareness videos form our YouTube channel and also download Mahendra Guru App for General Intelligence quizzes and test on the daily basis. Prepare the all the topics of a subject like Physics, Biolog, and Chemistry in General Science. In History, read the Important Wars, Delhi Sultanate, Mughals, Important Governers/Viceroys, Revolt, South India Temples and Feature, Gates, Forts, Entry of Europeans, Important various Organization, Founders and their headquarters, Reformers, Education Reforms, Freedom Struggle, and Act etc. In Geography study the topics like Major Soil of India, Rivers, Lakes, Waterfalls, Census-2011, Culture, Trade and Transport, Universe, Atmosphere etc. In polity read all the Important Article’s number such as appointment, power, and removal (like President, Prime Minister), Budget, Parliament, Fundamental Rights etc. For Current affairs, focus on New Appointment, Government Polices and Plan, Bill, SARC, G8 summit, etc. for more details you take from Mahendra Guru Website for Current Affairs. Hope this article will helps you to plan a right strategy for SSC CHSL exam 2017.For more detailed study you can watch online Lecture video on Mahendra Guru YouTube Channel Based on SSC CHSL Exam 2017 special and also stay connected with us on our Facebook page E-Mahendras.